Rent Terrapin Hill Farm | Corporate Events | Wedding Locations, Event Spaces and Party Venues. Terrapin Hill Farm is an organic farm nestled in the rolling hills of central Kentucky. We are an outdoor venue, centered around a 40'x60' pavilion. There are several stages, and open areas nearby for any type of ceremony or event. Come enjoy outstanding views and the serenity of nature. Outdoor venue with pavilion and more! 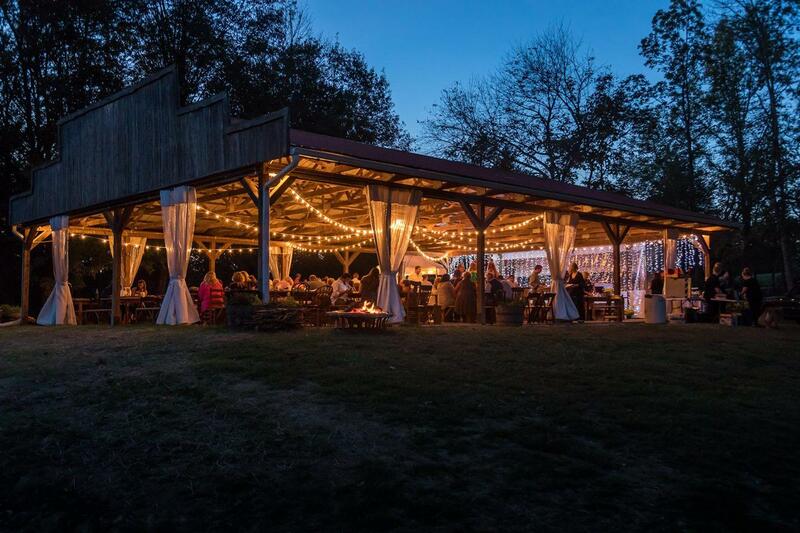 Terrapin Hill Farm offers a rustic and secluded setting for those who want an event with “Country Charm”. The scenic organic farm offers several picturesque sites to choose from, such as a hilltop with a panoramic view of the countryside, a quiet little wooded area, or the Chapel Stage surrounded by majestic trees. If you prefer simple, natural beauty and a peaceful place to celebrate with family and friends, Terrapin Hill Farm is for you. 40’x60’ pavilion seats up to 200, with sides that can be closed in case of wind or rain; Restrooms with flush toilets; Farmhouse with large kitchen and 3 bedrooms; and more. Visit www.terrapinhillfarm.com/weddings for more information.